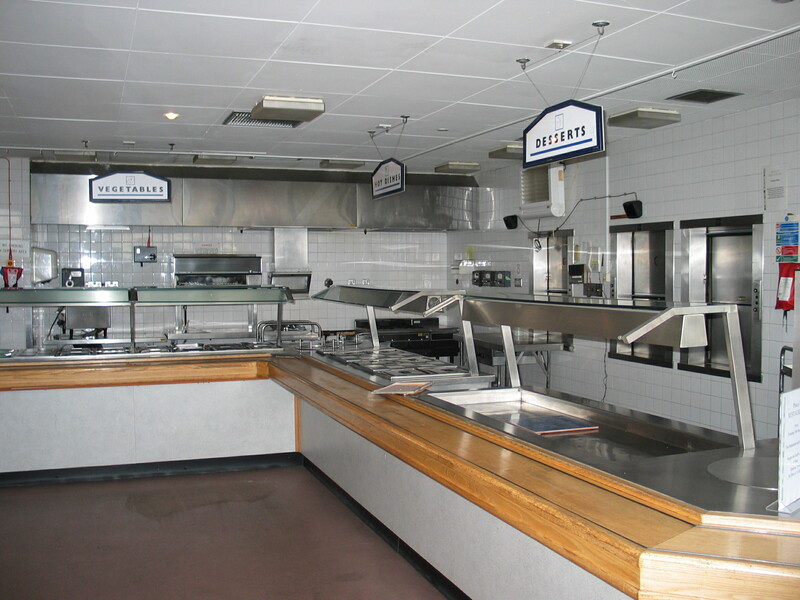 This photograph is of the Pebble Mill Canteen on the 7th floor of the office block. Tim took the photo in autumn 2004 when Pebble Mill had been emptied, prior to the building being demolished in 2005. 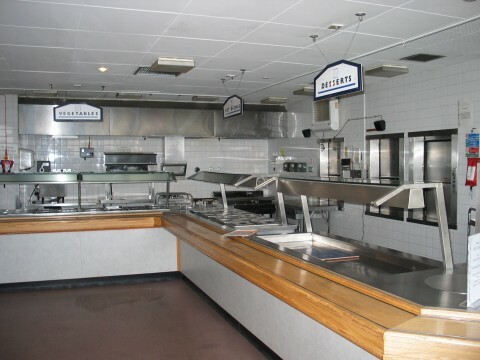 The Canteen was at the heart of Pebble Mill, sadly it looks so clean and lifeless in this photo. It had a excellent line in cheese scones, mid morning, and delicious cakes for afternoon tea. You never knew who you’d meet in the Canteen, you’d frequently bump in to actors in full costume and make-up taking a break from recording a drama in Studio A.
Eurwyn Jones: ‘Who can remember some of the women who worked there ? Pete Simpkin: ‘Re management I recall the times there were lift failures and those of us who could manage it would think nothing of stepping it out up the whole flight of stairs and then it became clear who were the management…..they were the ones appearing to be nonchalantly taking in the view on each landing trying hard to disguise their lack of breath! !